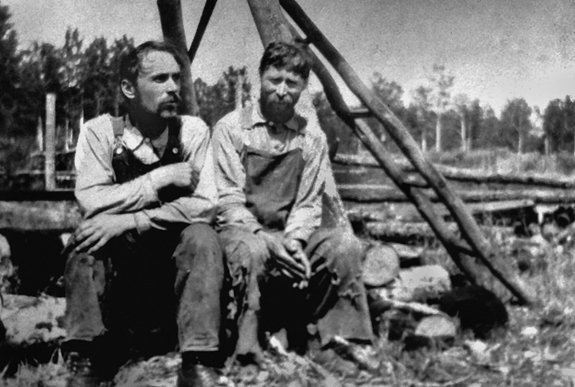 When Peter Rupchan first homesteaded in 1905 in the Usherville region of Saskatchewan, he spent much of his time digging little holes all over his property. Day after day he set out with his shovel, searching, for something. For two years he searched. He wasn’t looking for oil -- the holes were only a foot deep. And his quest was not buried treasure — he definitely had no treasure map to guide him. What he sought was clay. Peter Rupchan needed clay to return to the pottery-making that had been his passion in his native Ukraine, and which would become a 40-year obsession on his struggling isolated homestead in eastern Saskatchewan. It took him two years to find it, then he was off. Peter Rupchan was born in 1883 to a family with barely enough to eat, in a village in Molodia, Ukraine. There was no opportunity for Peter to attend school, given the entry fees required, and being the oldest son he was sent off to work as an apprentice. At the tender age of seven Peter became indentured to a severe local blacksmith, but his treatment was so harsh that eventually Peter was allowed to move instead to a pottery factory near Chernivsti. 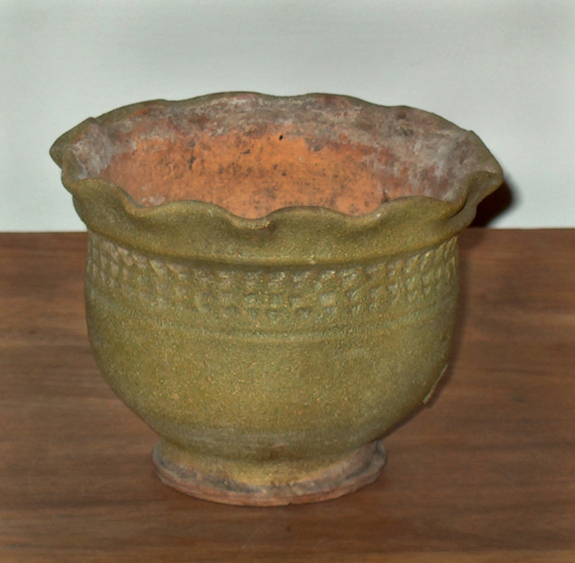 Peter remained there for several years and became accomplished in crafting pottery. In the meantime Peter Rupchan’s parents and siblings emigrated to Canada, and Rupchan decided to try to join them. He made the transatlantic journey in 1905, at the age of 21, and after many months of searching he found his family in the Saltcoats-Calder area of south eastern Saskatchewan. 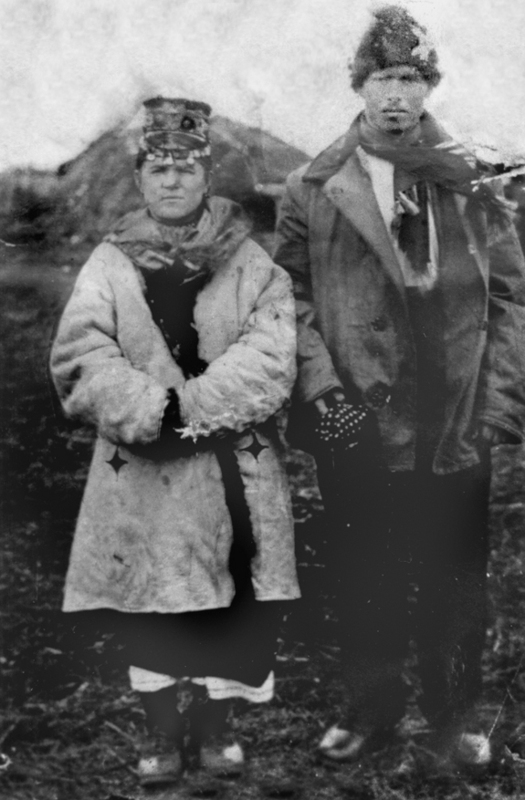 Soon after they moved together to the Usherville area, 150 miles to the north, and in November of 1905 Peter married Safta Safruk in Canora, Saskatchewan, having met her there when he went for supplies. Through various misadventures and bad decisions in the first few years, Peter had to move his family to six different homesteads — in one instance, having never learned to read, Rupchan co-signed a loan for a neighbour who did not make good, causing Rupchan to lose his own land. Initially Rupchan concentrated on making his farm a viable operation, but the desire to make pottery became an obsession, and soon he was spending every spare minute scouring the countryside for suitable clay. The fine sand he needed to mix with the clay was plentiful throughout his land, but the clay itself was more difficult to find. Using only a spade, he dug sample holes all over his farm and throughout the southern part of the Etomami valley. After two years of frustration, on a cool autumn day Rupchan was searching for clay near the Safruks' farm when, finally, the sample of earth that he squeezed and rolled in his calloused palms revealed the texture that he knew from the pottery factory in the Ukraine. Peter Rupchan (right) with his brother-in-law Metro Safruk at the base of a windmill used to grind glass for glazes. Immediately Rupchan began fashioning all the necessary pottery equipment from scratch. Of primary importance was the construction of a kiln. He levelled the ground and the placed flat stones for the floor, making sure not to use limestone, filled in the cracks and smoothed wet clay over the entire surface. The curved stonewall structure he assembled on top was plastered with similar mud inside and out. Then he made his own pottery wheel, began to dig and process his clay, and experimented with glazes that he made from glass and other objects found at the local rubbish dump. Rupchan’s potter's wheel consisted of a lower three-foot diameter wooden disk and a somewhat smaller upper turntable fastened to a rotating metal shaft which he’d found in the dump. 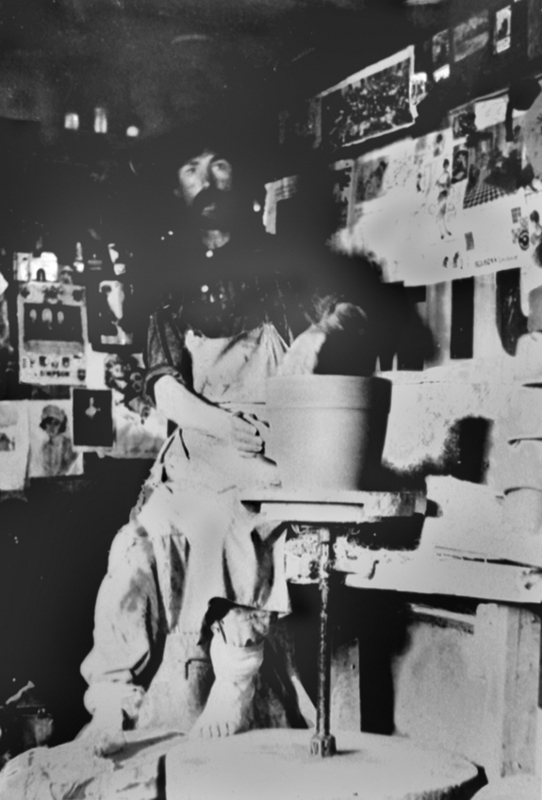 He worked the kick wheel mostly with his bare feet, and was soon able to transform the crude clay into crocks, cups, saucers, plates, bowls, flower pots, candlesticks, vases, urns and teapots. "Horschoks," used for souring cream and "makitras" for grinding poppy seeds were some of his best sellers. Describing his process, Rupchan said, “First, I sift the clay and throw out pieces of limestone and other objectionable matter. Then I grind the clay and mix different varieties. Adding water, I knead it for two whole days. My wife helped me for some time but it was too hard for her. Now I do it all myself. I cut it in strips and examine it, then knead it again. I keep cutting strips off until there are no streaks in the clay and it is as soft as live rubber. Then it's ready for the potter's wheel." Rupchan loved throwing pots on his wheel. He was so quick at it that he would challenge the neighbourhood men to roll a cigarette while he threw the bottom dish of a flowerpot. 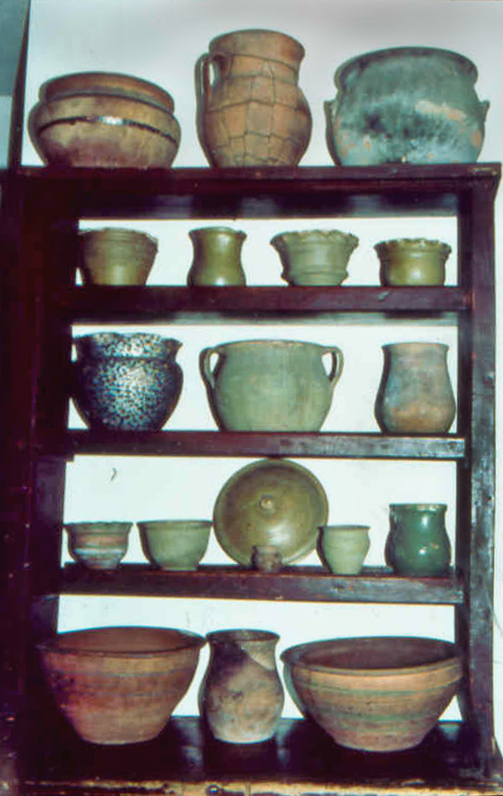 The kiln could hold approximately 500 articles, with Rupchan piling one on top of two others, the larger pieces placed below and smaller items on top. Eight to ten inches was left on either side of the stacks for Rupchan to light fires down the whole length of the kiln. Peter Rupchan’s son John, who sometimes helped his father, remembers: "It took two nights and three days for baking. I don't know when he was sleeping. He started a little fire first, very slowly or the pots would crack. He increased it day and night and then about the second day or so he would start decreasing the fire and open the draft a little bit — not too far or they would crack for sure." After 24-28 hours of cooling he would direct his older sons to go into the kiln and start unloading. If unloaded too soon, the pots cracked in the cooler outside air. While the pots were still warm Rupchan decorated them with glaze, and then he fired the earthenware for another twelve hours. At last they were finished. The whole operation from raw earth to baked pots took Peter about two weeks to complete. Rupchan sold his pots from farm to farm, but his main destination was the towns, where sales could be plentiful. He found it an imposition when he was charged a vending fee as was occasionally the case, like on February 27, 1930, at Foam Lake. The $2 fee was relatively steep considering that Rupchan's pottery prices ranged from five cents for whistles to forty-five cents for two-gallon crocks. It usually took him a week or two to sell a load of pots, bringing in a total revenue of only $50 to $80. But Rupchan often gave toys and whistle to children, and sometimes donated his pots to those that obviously could not afford to buy them. He always had a small crowd around his wagon listening to his humorous stories while he enticed them to buy his crocks. Peter Rupchan led a relatively quiet existence, pursuing his career, drawing from some inner strength to combat the isolation of his work in an area where he was considered anything but average. People had viewed Rupchan as eccentric from the first time they had laid eyes on him poking in the nuisance grounds, until they found him knocking on their doors with pottery for sale. Totally isolated from other craftspeople, Rupchan was unable to discuss the conditions and problems of his pursuit with others — experimentation and ideas needed to sprout entirely from his own well-spring of creativity. According to historian Norman Harris, "all his efforts were met with scepticism and ridicule. Being a potter just wasn't the manly thing to do. No one seemed to entertain the idea of a cottage industry in official circles. The pervasive attitude was that Canada needed settlers to fill in the landscapes, the goods they produced to be hauled out via rail. 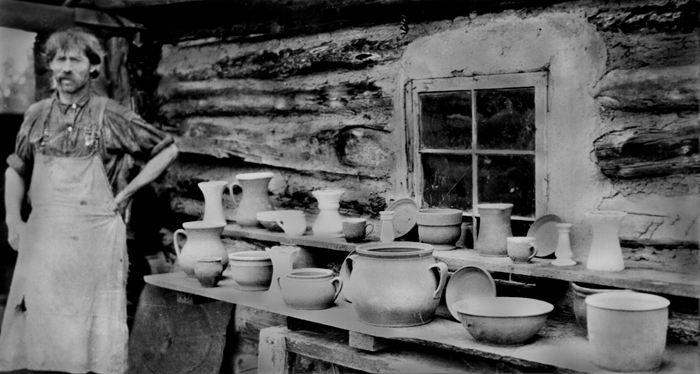 There were several early potters, as well as Doukhobors with their brick factories. These received no encouragement or recognition." 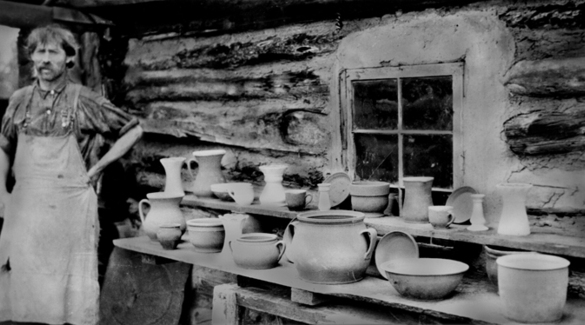 Following Peter Rupchan's untimely death in a logging accident in 1944, his pottery remained in relative obscurity for the next thirty years. During the 1970s, however, historical research brought his life and work to light. 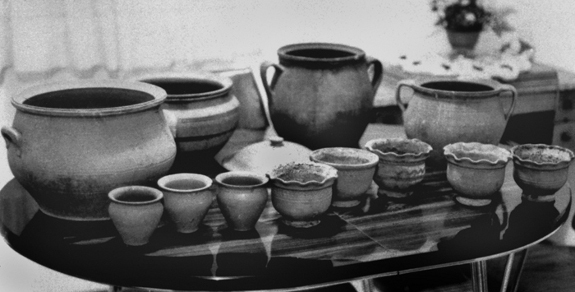 Eventually a small collection of his pottery was acquired by the Ukrainian Museum of Canada, in Saskatoon, and a larger collection was donated to the Museum of Civilization, in Hull, Quebec. Pieces and small collections are treasured by private owners and scattered throughout the country in museums and art galleries. Judith Silverthorne is a multiple-award winning Saskatchewan-based author of nine children’s novels, one of which is a Japanese translation, two non-fiction adult books and has written and produced several television documentaries. Her latest book, Ghosts of Government House was released in the spring of 2011. She has given hundreds of readings and writing workshops at libraries, schools, and presentations at conferences www.judithsilverthorne.ca.